APSLPRB Driver Operator Notification 2019: Applications are invited from the eligible candidates for recruitment to the post of Driver Operator in Andhra Pradesh State Disaster Response & Fire Services Department. 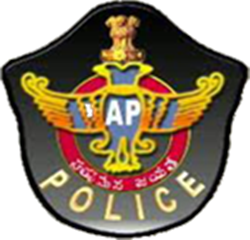 A person who is a local to Andhra Pradesh State and also working in Andhra Pradesh Police Department as on date of notification has been on duty as Home Guard for a minimum duration of 360 days within a period of two years and who is still continuing his service as Home Guard, must have attained the age of 18 years and must not have attained the age of 32 years as on 1st July, 2018 i.e., must have been born not earlier than 2nd July, 1986 and not later than 1st July, 2000. In the case of all other candidates, must have attained the age of 18 years and must not have attained the age of 30 years as on 1st July 2018 i.e., must have been born not earlier than 2nd July 1988 and not later than 1st July 2000. The candidate, as on 1s July, 2018, must have passed SSC or any other examination recognised by the State Government as being equivalent to SSC. A prescribed fee of Rs. 25/- (Rupees Twenty Five only) in cash should be remitted at the time of submission of each application form. Demand Drafts, Cheques, Indian Postal Order etc., will not be accepted. SC/ST candidates are exempted from paying this fee. Application forms may be purchased by anyone other than the candidate also. There will be no restriction on the number of applications sold to each individual. Applications submitted after 5.00 P.M. on 07-02-2019 will not be accepted. Incomplete applications or applications without prescribed enclosures also will not be entertained.